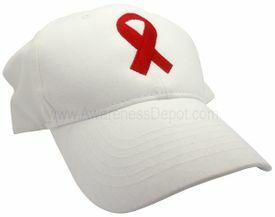 This new cap offers a symbol of hope with its beautifully embroidered red ribbon. 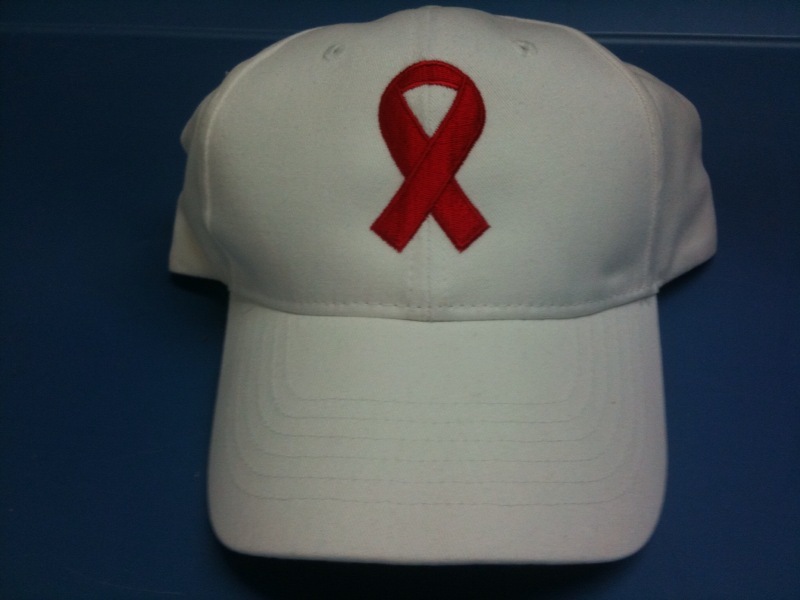 All cotton, soft, flexible white cap with adjustable strap. One size fits all. Wear it Proudly!! This is a high quality cap.